Packing all kinds of childhood nostalgia, this White E.T. 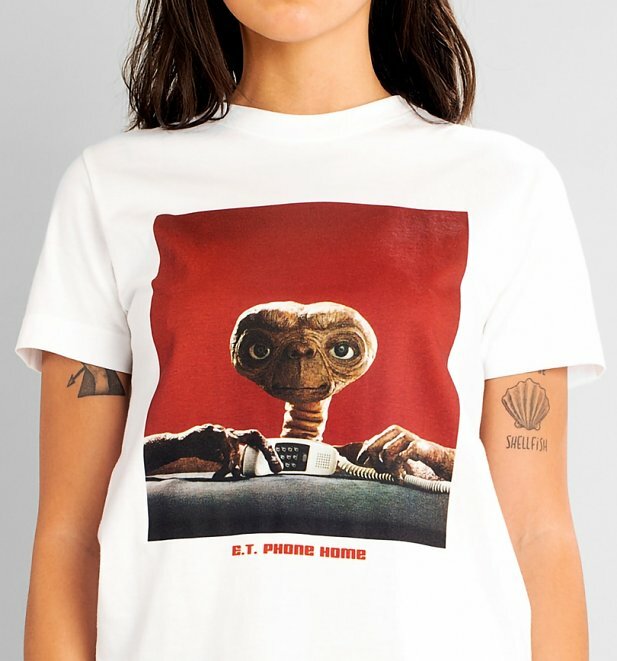 Phone Home T-Shirt is sure to be a hit with any fan of this Spielberg classic. Also available in a men’s style, this simple classic is just begging to be styled up with a simple classic look, or a feature piece for some serious throwback retro vibes. Did we cry during this scene? Who… us? Pshhh! Na-uuh. Okay so maybe this awesome White E.T. Kiss T-Shirt featuring a young Drew Barrymore does bring up some tearful memories of this classic scene. All the more reason to love it, right? Totally loving this snap of E.T. peering out of the closet on this White E.T. Closet T-Shirt. This adds sooo much for his character and is such a great way to show your love for this lovable space friend. About as instantly recognisable as they come, we love so much about this E.T. Long Sleeve T-Shirt from it’s iconic logo to the sleeve details. Nailed it! 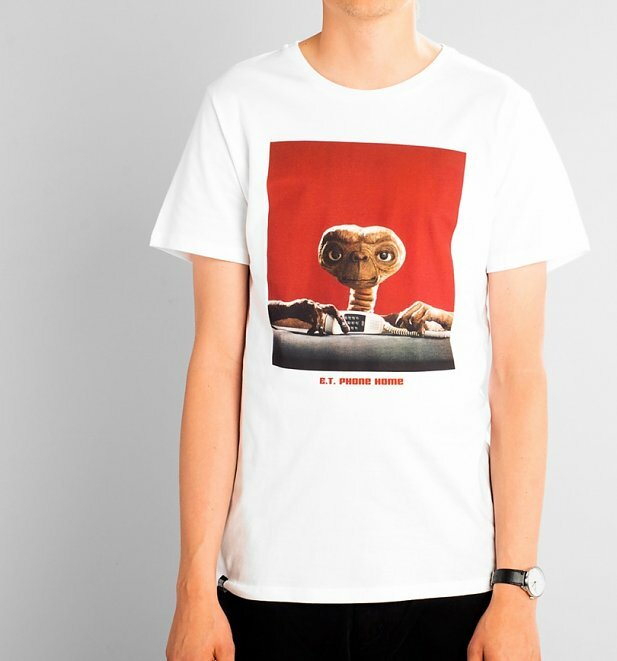 Not satisfied with totally rocking the t-shirt game, Dedicated have brought us some totally stunning new E.T. Socks which we’re sure we might never want to take off! Looking for a more subtle nod to your favourite alien? We got you! 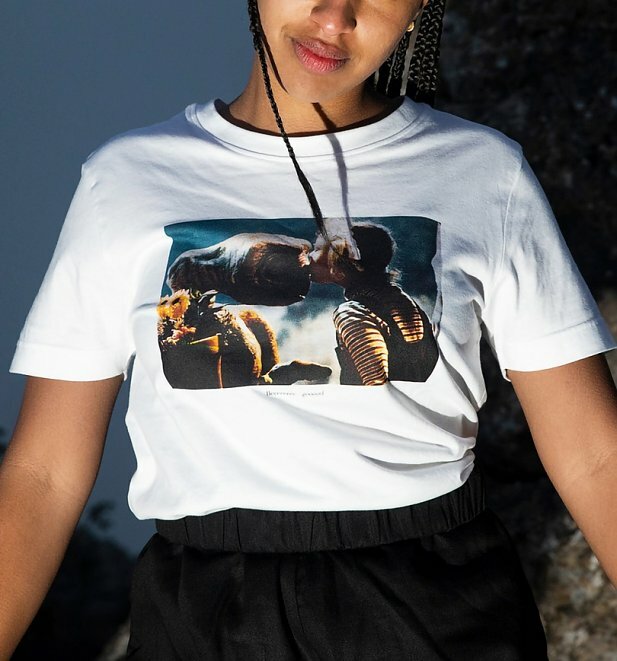 Wear the most iconic moment with pride thanks to these stunning new E.T. 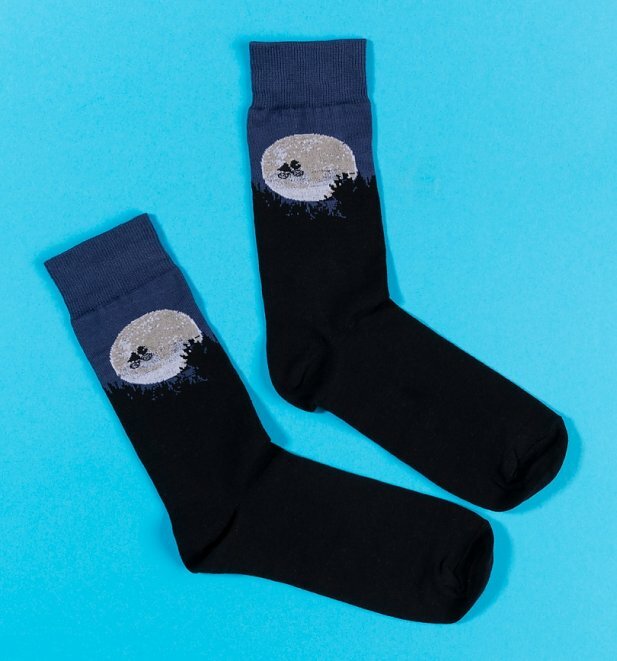 Moon Socks. You’ll be crying to show them off! So there you have it peeps! For all these and more, check out our full collection of E.T. merchandise and snap up the perfect item for you.